Rearing sheep is declining in Merag Gewog of Trashigang and farmers there cited the reasons being laborious and lack of abundant pasture for the animal to graze. Each household in Merag owns only a handful of sheep meant just for production of wool. As compared to rearing yaks, sheep farming, locals say is more tiring. Also, some of them said there are risks of losing the animal to the Tibetan mastiffs in the area people keep as guard dogs. The Merag Gup, Lama Rinchen said, earlier, people used to rear and breed sheep in flocks because there were enough pastures and in winter, the locals used to migrate to lower altitude places with the sheep. The Dzongkhag Livestock Office also agreed on the number of sheep decreasing in Merag over the years. The office, however, has plans to revive the farming practice. 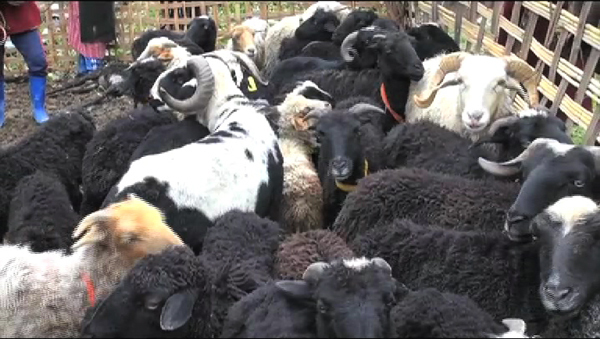 Recently, during the visit of the Prime Minister, the people of the gewog also received 60 sheep.